3. My ex-father-in-law’s reluctant confession to me that he knew almost nothing about his own origins. He couldn’t even tell me what country his family hailed from – and this made me sad. As a result, I decided to see what I could find out for him about his family tree. By the time Alex Haley’s book came out (along with the TV mini series), I was already hooked on genealogy. I had a reason to think back on that this past week during the Thanksgiving holiday. Many of you are probably not aware that one of the U.S. Surgeon General’s goals is to encourage Americans to take the time on Thanksgiving to complete a family medical history. Why is a family medical history important? Well, that lesson was driven home to me this past month. A few weeks ago, someone I know was diagnosed with Huntington’s Disease. For those of you that don’t know what HD is, it’s a serious neurological disease for which there is no cure and there is little doctors can do to treat it. HD is a genetic disease, meaning it is inherited. This disease is what killed Woody Guthrie, beloved American songwriter and singer – and the father of Arlo Guthrie, of Alice’s Restaurant fame. You can read more about HD by clicking this link. Now, needless to say, all of us were understandably saddened to learn about her diagnosis. But we were also shocked – since, as far as any of us or her family knew, there was no prior family history of the disease. But that’s the whole point of this blog post. How many of us are truly aware of what lies hidden deep within our genes? Our genetic “inheritance” is just as much a part of our family’s “legacy” as the china cabinet Grandma left to you in her will or the fact that you have Aunt Sophie’s blue eyes. Maybe more – because it can have a life-long impact on not only you, but your kids – and your grandkids and all of your descendants. How can that be, you may ask? Because there are a lot of health conditions that are either directly inherited (like Huntington’s Disease) -OR- that have a genetic component to them (like heart disease or diabetes). In the case of HD, if you inherit even one copy of the mutated gene, then you will develop the disease. But in the case of other medical conditions (like heart disease), the future isn’t so clear-cut. In other words, if my grandfather, all my uncles and my own father all died of massive heart attacks before the age of 60, then it would be a good idea for me (and my doctor) to be on the lookout for certain “markers” and “warnings” about my own health. How is my blood sugar? My family medical history makes me more susceptible to coronary artery disease (CAD) – but it doesn’t guarantee that I, too, will develop CAD. If I treat my high blood pressure, take medications and watch my diet to lower my cholesterol, exercise, eat healthy foods and watch for signs of diabetes – I may never develop CAD or have a heart attack. However, information is power – but both I (and my doctor) must be aware of my possible vulnerability to any potential conditions that I may have inherited in order to take steps to protect my health. That is why gathering information about your family’s medical history is so important. The Web-based tool helps users organize family history information and then print it out for presentation to their family doctor. In addition, the tool helps users save their family history information to their own computer and even share family history information with other family members. 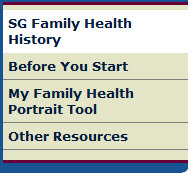 Access the My Family Health Portrait Web tool to learn how to record your family’s health history. Each year since 2004, the Surgeon General has declared Thanksgiving to be National Family History Day. Over the holiday or at other times when families gather, the Surgeon General encourages Americans to talk about, and to write down, the health problems that seem to run in their family. Learning about their family’s health history may help ensure a longer, healthier future together. There are tips out on the site to help you get started, if you don’t know what questions to ask. National Human Genome Research Institute Director Francis Collins, M.D., Ph.D., and Genomic Healthcare Branch Chief William Gregory Feero, M.D., Ph.D. sit down for a conversation about the importance of learning your family history and recording it accurately. Gathering the health history of your parents, grandparents and blood relatives and bringing it to your healthcare provider can help you determine your health risks and plan lifestyle changes to keep your family well. To watch Family History: A Window on Your Health, visit the National Human Genome Research Institute Web site. So don’t put it off – start having those crucial conversations with your family the next time you’re together again for another holiday. Don’t wait – start asking questions now. 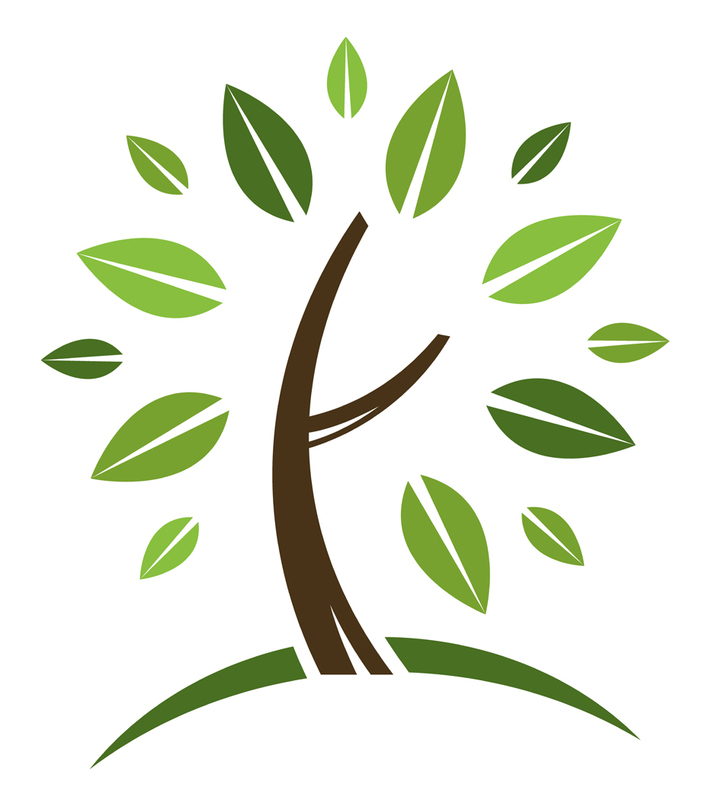 Leave your family (and future generations) the enduring legacy of good health – record your family health history today! This entry was posted in Family History and tagged Family Health, Family Medical History, US Surgeon General. Bookmark the permalink.